Refill: Blue ink with 2000 metres of writing ink. Tugsten carbide ball. 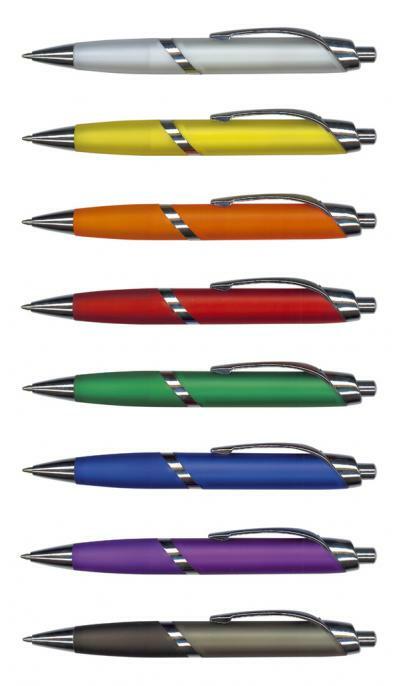 The same features as the Avenger with added visual appeal of the frosted colour on the barrel completes another very desirable item to have carrying your branding and sales message. 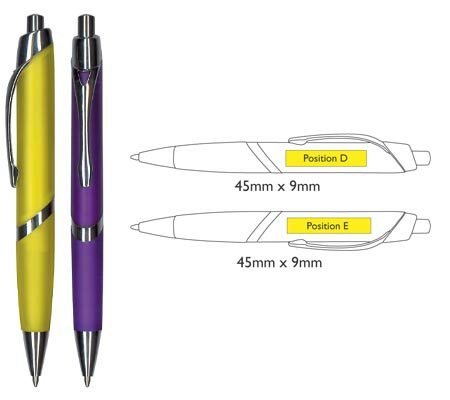 Positioning the print on your promotional pen is a very important part of applying your logo to gain the maximum effect. The positions highlighted in yellow apply to this pen.